SAB South Africa has begun using UV photo sterilisation to treat its sugar solutions, extending use of the technology in brewing beyond water purification. According to SurePure, the company behind the technology, SAB has achieved energy savings of 82 per cent compared to pasteurisation that used up high levels of energy heating up then cooling down solutions. SAB is now looking at the possibility of using the UVC system from SurePure to reduce or replace the pasteurisation and sterile filtration of beer itself. 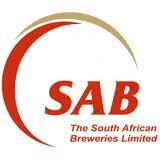 Parent company SAB Miller is also considering rolling out the technology at plants outside South Africa. UVC systems have been used for some time by brewers for water purification but SurePure claims that SAB is the first to use light for its brewing process.